North-East music icon Sting is to deliver next year's South Shields Lecture. David Miliband has announced that the rock star will be the latest in a long line of big names to give the annual address since he launched it in 2001 during his time as MP for South Shields. Currently starring on New York City's Broadway in his musical The Last Ship, the singer-songwriter will return home to the North East for the event in South Shields on Saturday, February 28, at Harton Technology College. Sting, alias Gordon Sumner, said: "I am delighted to accept the invitation to next year's South Shields Lecture. Mr Miliband said: "When I stood down as MP for South Shields, I gave a commitment that I would continue to organise and chair the South Shields Lecture. "It's always great to come back to South Shields, and it's even more special that I can bring Sting with me to deliver the 2015 lecture. "Sting's journey from Wallsend to the stages of the world is an unbeatable story. "It is a mark of his enduring warmth towards the North East that his current Broadway musical focuses on the region. The three most recent speakers to give the South Shields Lecture were playwright Alan Bennett, comedian and author David Walliams and actor Patrick Stewart. The lecture was established in 2001, with former Labour Party leader Neil Kinnock being the first speaker. Among those to follow in his footsteps were former prime minister Tony Blair, comedian Jo Brand and film producer David Puttnam. Sir Ken Gibson, headteacher at the Lisle Road college, said "We are delighted to be able to host the South Shields Lecture at Harton Technology College for the seventh consecutive year. "We have been privileged to have met some fabulous guest speakers, and the prospect of Sting coming to Harton is incredibly exciting. 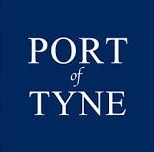 The sponsor of the 2015 lecture will be the Port of Tyne. Andrew Moffat, chief executive officer at the port, said: "The South Shields Lecture is a great annual event that brings national and international attention to the region, and we are delighted that our sponsorship helps make it possible. "Sting is an excellent choice to deliver the lecture. He is proud of his connections to the region, and it'll be a great event”. The lecture will start at 6.30pm. Tickets are free, but demand is expected to be high, so priority will be given to those with a South Shields postal address, starting with NE33 or NE34. Tickets are limited to two per a household. Requests for tickets should be made by e-mail to events@harton-tc.co.uk, including your full address and contact telephone number. The former Police frontman will also be performing songs from The Last Ship at two sell-out shows at the Sage Gateshead next April.